New Wedding Cake Designs for 2017! I love this time of year! Not only is Christmas on the horizon (yay!) 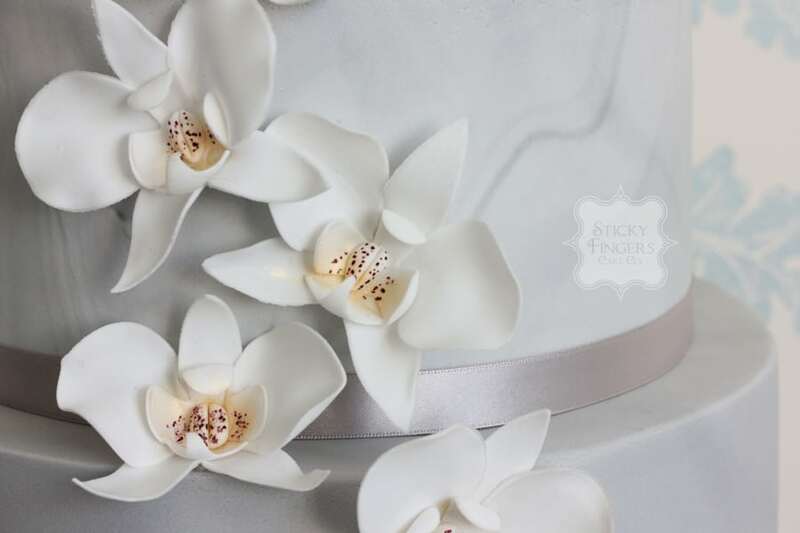 but generally as a rule, things quieten down wedding cake wise so I’m able to let my creative juices flow and start to design some lovely new wedding cakes to display at next year’s Essex wedding fairs. The use of metallic finishes is becomig popular, whether in edible lustre form or for a touch of luxury, gold and silver leaf. Also coming through is marble effect icing, which I love and have a new design using this up my sleeve – exciting stuff! Also edible sequins – who’d have thought!! In the meantime, have a super duper Christmas and I’ll see you on the other side…!